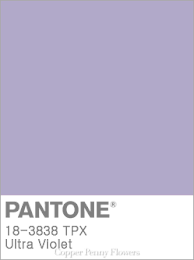 This purple is rather “dramatic” to work well as a design neutral, and “provocative” isn’t what most of us go for in choosing the colors around which we live our lives. 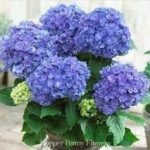 Ultra Violet may be embraced as an interior accent or a wardrobe pick-me-up, but it may not be a color destined to take over homes and clothes in 2018. 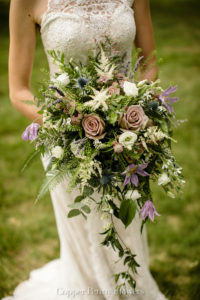 Brides agree. 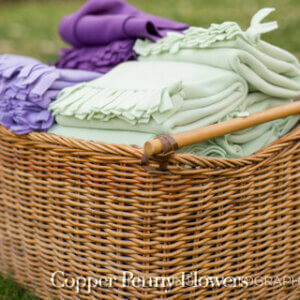 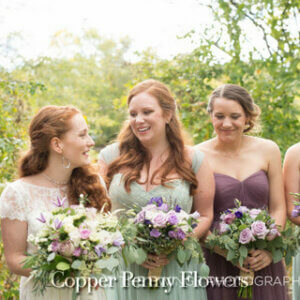 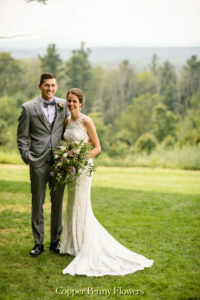 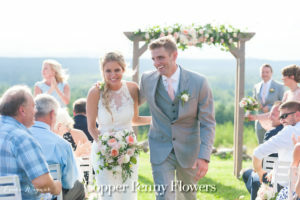 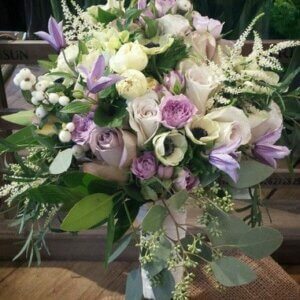 Last year, a trend for weddings was mauvy purples with sage green. 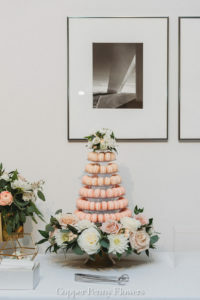 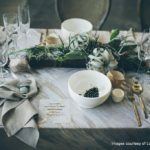 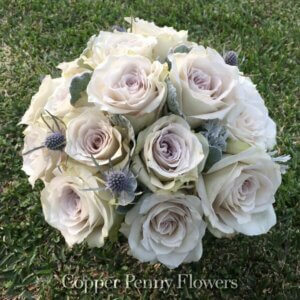 And the purple trend continues into 2018, with brides requesting lighter shades like lilac and lavender, and purples with grey undertones accented with silvery Dusty Miller and succulents. 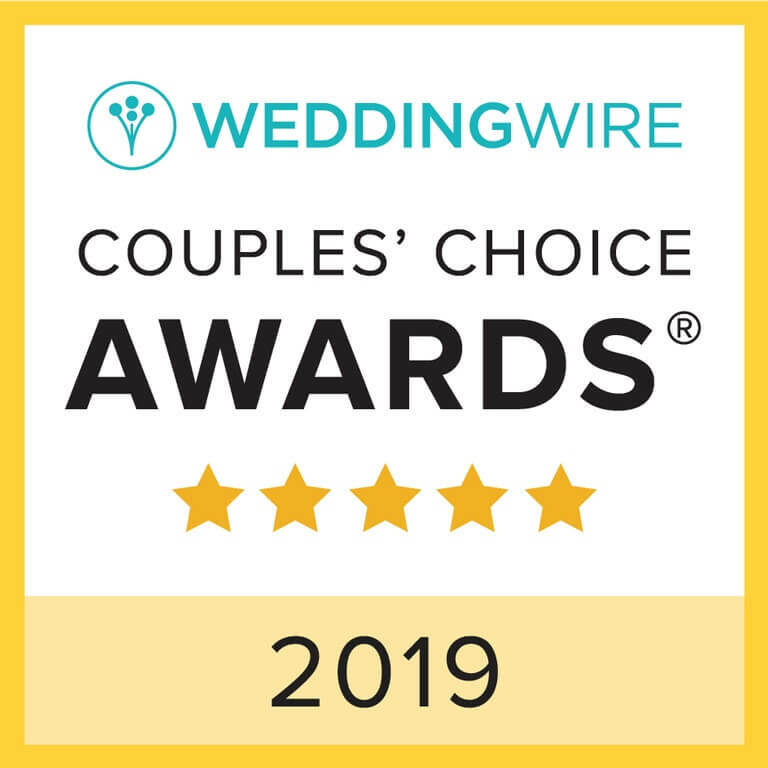 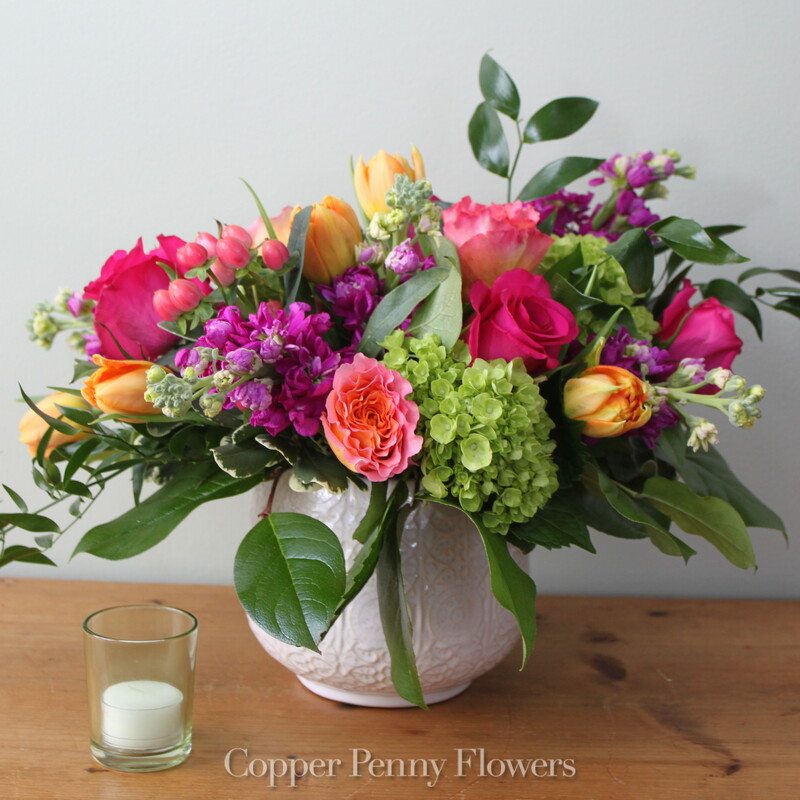 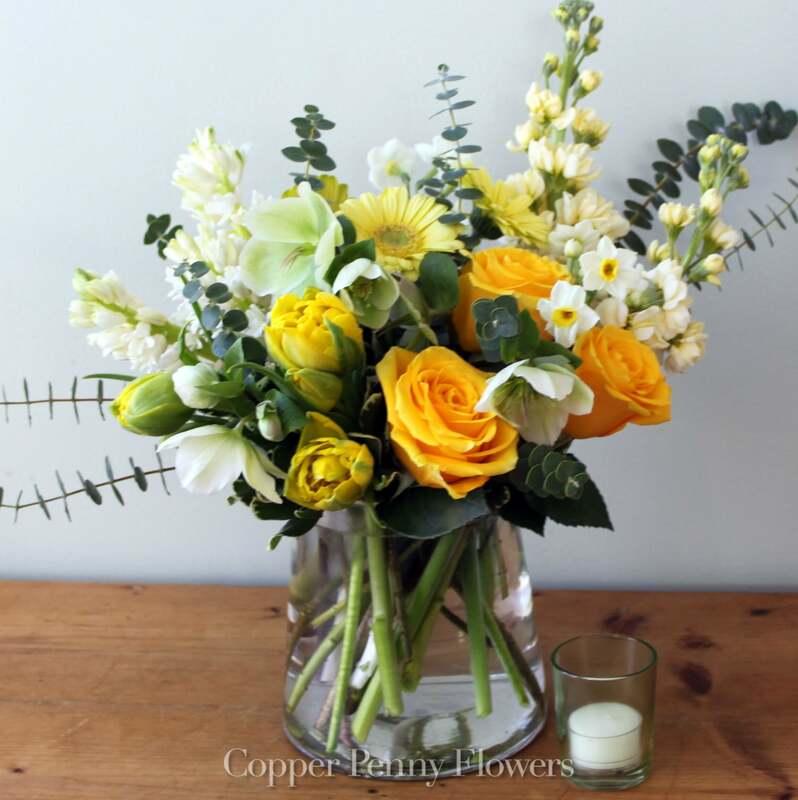 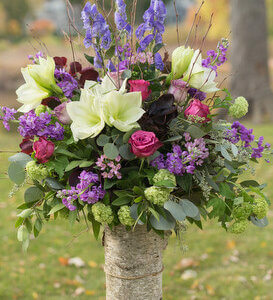 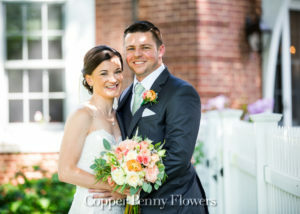 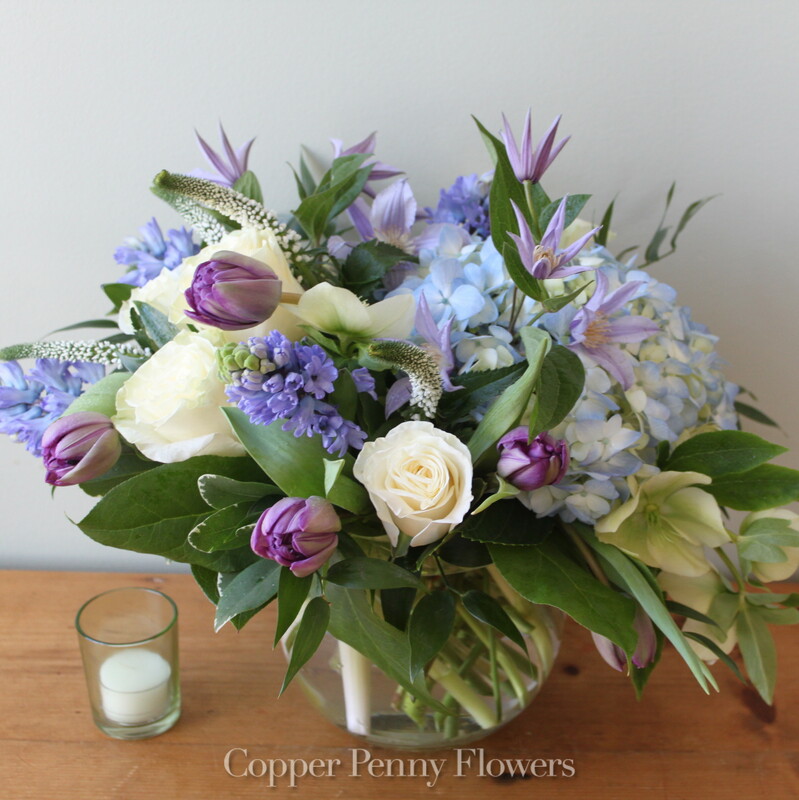 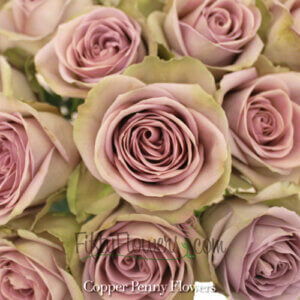 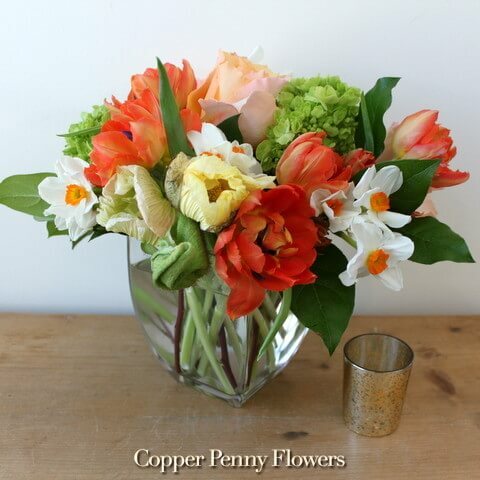 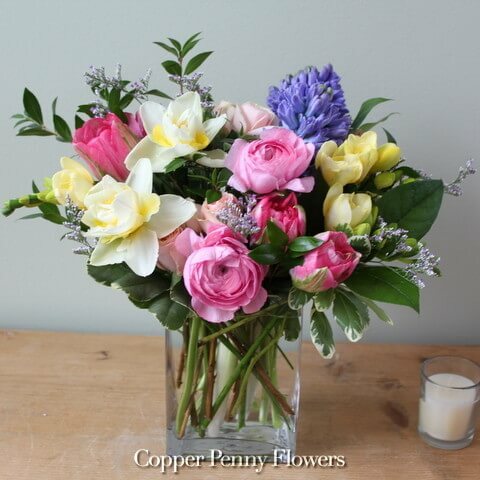 On trend roses popular at Copper Penny Flowers include Ocean Song, Grey Knights, and Amnesia. 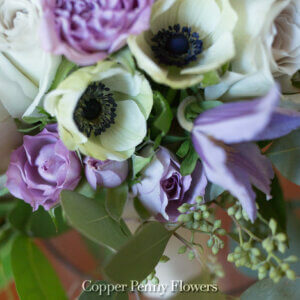 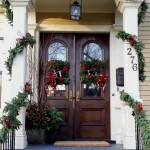 Other designer favorites include Panda anemones–white with a dark purple-hued center–and clematis. 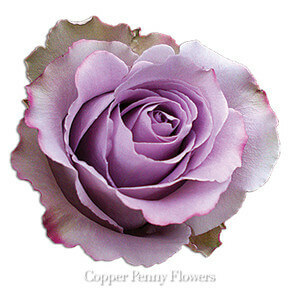 Which purple is your passion? 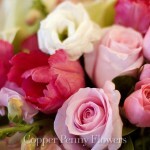 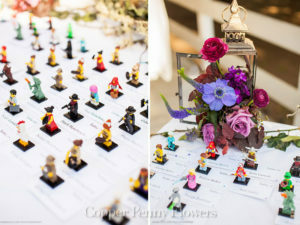 next post: Have Fun Choosing Flowers for Valentines!